The excavators of Göbekli Tepe believe that around 8,000 BC the people at the site deliberately buried the monuments under mountains of soil and settlement refuse, such as flints and animal bones, brought from elsewhere. This backfilling is the main reason why the site has been preserved after so many thousands of years. Why the inhabitants of Göbekli Tepe abandoned the site is not clearly understood, though the monuments had obviously lost their relevance, which may have had some connection with the new way of life which accompanied the development of agriculture and animal husbandry which occurred around this time. We know from typological dating (of stone tools) and radio carbon dates that the final building phase at Göbekli Tepe dates to c8000 BC. However, the date of its very earliest occupation is far from clear. Nevertheless, radio carbon dates (from charcoal) for the most recent part of the earliest layer (stratum III) at the site center around 9,000 BC. Klaus Schmidt and his team estimate that Göbekli Tepe’s stone monuments are about this age, though the structures have not been directly dated themselves. From the available evidence the site’s excavators estimate Göbekli Tepe’s beginnings at 11,000 BC or earlier, which is incredibly early for such a complex set of monuments. The planning and building of such a site as Göbekli Tepe would have required a degree of organization and resources hitherto unknown in hunter gatherer societies. Schmidt has made the intriguing suggestion that rather than building temples and other religious structures after they had learned to farm and live in settled communities, the hunter gatherers of the area first constructed megalithic sites like Göbekli Tepe and thus laid the foundation for the later development of complex societies. Indeed investigations of other sites surrounding Göbekli Tepe has revealed a prehistoric village just 20 miles away where evidence of the world’s oldest domesticated strains of wheat has been recovered. According to radio carbon dates agriculture developed in the area around 10,500 years ago, just a few hundred years after the construction of Göbekli Tepe. Other sites in the region show evidence for the domestication of sheep, cattle and pigs animals 1,000 years after Göbekli Tepe’s monuments were erected. All this evidence suggests that the area around Göbekli Tepe was at the forefront of the agricultural revolution. Perhaps the most elusive aspect of the megalithic structures at Göbekli Tepe is their function – why did hunter gatherers construct such elaborate monuments? In Schmidt’s opinion, the site was an important location for a cult of the dead, and although no definite burials have been discovered so far, he believes they will be found underneath the floors of the circular monuments. In the absence of houses or domestic buildings of any sort in the area, Schmidt sees Göbekli Tepe as akin to a pilgrimage destination which attracted worshipers from as far away as a hundred miles. Indeed the vast amount of animal bone discovered at the site certainly suggests that that ritual feasting (and even sacrifice) regularly took place here. There is perhaps a parallel here with the much later site at Durrington Walls, close to Stonehenge, in Wiltshire, England. Dating to around 2600BC Durrington Walls was a huge ritual timber circle where enormous amounts of animal bone, mainly pigs and cattle, were discovered, which suggested to its excavator Professor Mike Parker-Pearson that ritual feasting was an important feature of the site. Intriguingly, in recent excavations at Göbekli Tepe Schmidt’s team have uncovered pieces of human bones in soils which came from the niches behind the stone pillars at the site. Schmidt believes the bones show that corpses were brought into the ritual areas demarcated by the engraved T-shaped stone, where they were then laid out and left to be stripped of their soft tissue by wild animals. Such activity would Göbekli Tepe both a cemetery and a center of a regional death cult. It is difficult to believe that the barren semi-desert where Göbekli Tepe is located was once a region of green meadows, woods, and fields of wild barley and wheat. The area would also have been thronging with vast herds of gazelle, flocks of geese and ducks. Indeed the animal and plant remains indicate such a rich and idyllic scene that Göbekli Tepe has been linked with the biblical story of the Garden of Eden. For those who take the story as a literal truth, the biblical location of Eden – at a point where four rivers descend, has been interpreted as within the Fertile Crescent. The ancient Fertile Crescent is defined as an agriculturally rich region in Western Asia which consists of present-day Iraq, Syria, Lebanon, Israel, Kuwait, Jordan, south-eastern Turkey and west and south-western Iran. The four rivers of the biblical Eden include the Tigris and Euphrates, and believers in the connection between the two sites, such as the author David Rohl, point out that Göbekli Tepe lies between both of these. The Book of Genesis also states that Eden is ringed by mountains, as is Göbekli Tepe. Other researchers believe that the Eden narrative in the Bible could be better interpreted as an allegory for the transition from a hunter-gather lifestyle to agriculture; though biblical accounts were recorded millennia after this transition took place. Interestingly, it is Klaus Schmidt’s opinion that the shift from hunting to farming in the area brought about the decline of Göbekli Tepe. With the intense work required for agricultural societies to succeed there was no longer the time or perhaps the need for the monuments of Göbekli Tepe. In the surrounding area, trees were chopped down, soils became exhausted and the landscape was gradually transformed into the arid wilderness we see today. Unfortunately, as the fame of Göbekli Tepe has spread art thieves and illegal antiquity dealers have been alerted. 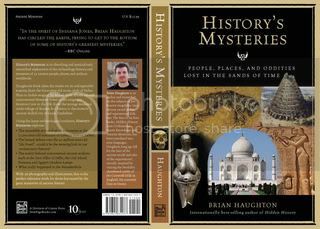 Around the end of September 2010, a 1.3 foot-high, T-shaped stele decorated with a human head and an animal figure was stolen from the site. Since the theft, security at the site has been improved by installing a locking gate and a camera system; hopefully this will be enough to deter future thieves. As long as only a tiny fraction of the incredible site of Göbekli Tepe has been excavated we can never know for sure why it was built and why it was buried and abandoned. Future work at the site will undoubtedly cast further light not only on these enigmas, but on our understanding of a critical stage in the development of human societies. 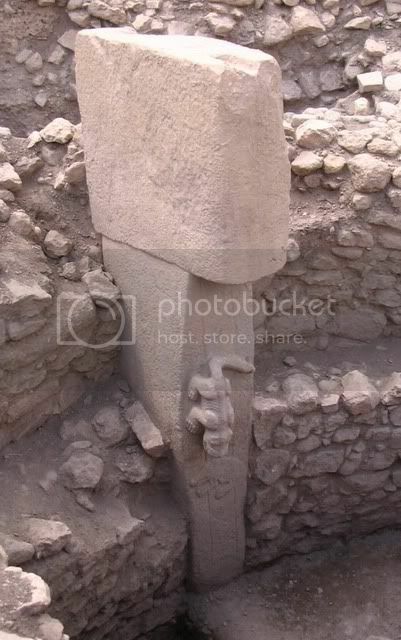 One thing is certain – Göbekli Tepe has many more fascinating secrets to reveal. www.smithsonianmag.com/history-archaeology/gobekli-tepe.html ‘Gobekli Tepe: The World’s First Temple?’ Andrew Curry. Smithsonian magazine website. www.forteantimes.com/features/articles/449/gobekli_tepe_paradise_regained.html ‘Gobekli Tepe – Paradise Regained?’ Sean Thomas. Fortean Times website. www.sundayszaman.com/sunday/newsDetail_getNewsById.action?newsId=233727 – ‘Göbekli Tepe: Making us rethink our ancestors’.